Financial reports help you to know what’s going on in your business and how it’s doing. Sometimes, you need further insight into those reports. 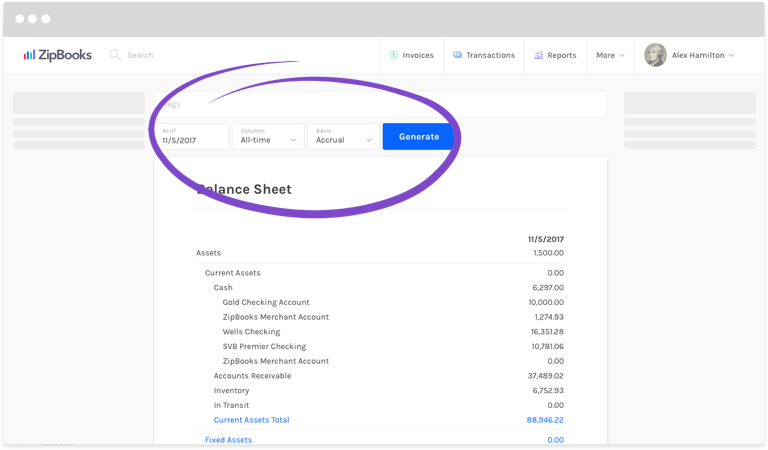 ZipBooks makes it easy to see which specific transactions make up the amounts on your balance sheet and income statement. 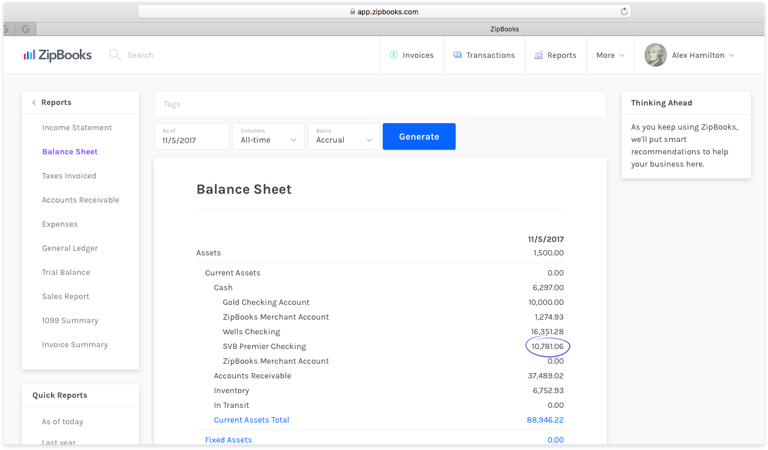 Click on Balance Sheet or Income Statement in the menu on the left. Filter the information as needed using the options above the report. Click on a number in the report to see a list of transactions that make up that number. Click the back button in your browser to return to the report. That’s it! Now you can see all the details conveniently and with minimal clicking around.